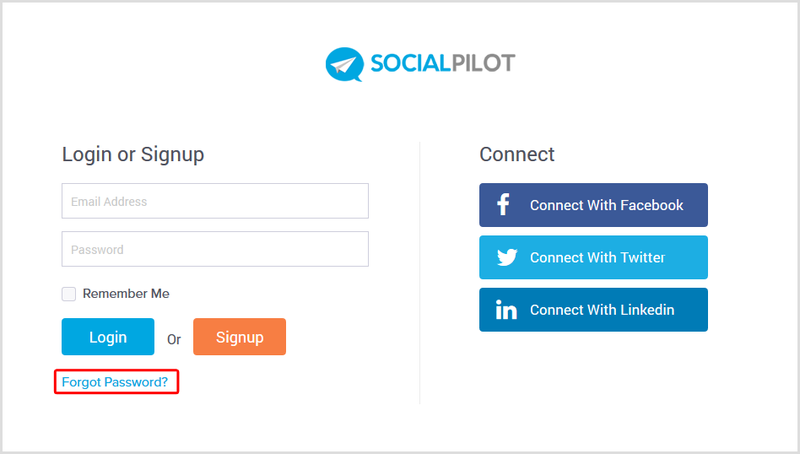 How do I reset or change the password of my SocialPilot account? In case you forget your password while logging into your SocialPilot account or you have been logging in with your social media accounts and now want to use your Email Id and password to log in - you can reset it very easily. Open SocialPilot's Log in page, and click on Forgot Password link. A reset password window appears. Enter your registered email address to get a reset password link. Click on Submit button. You will receive an email with a Reset Password link. Click on the link, enter your new password and re-enter it for confirmation. 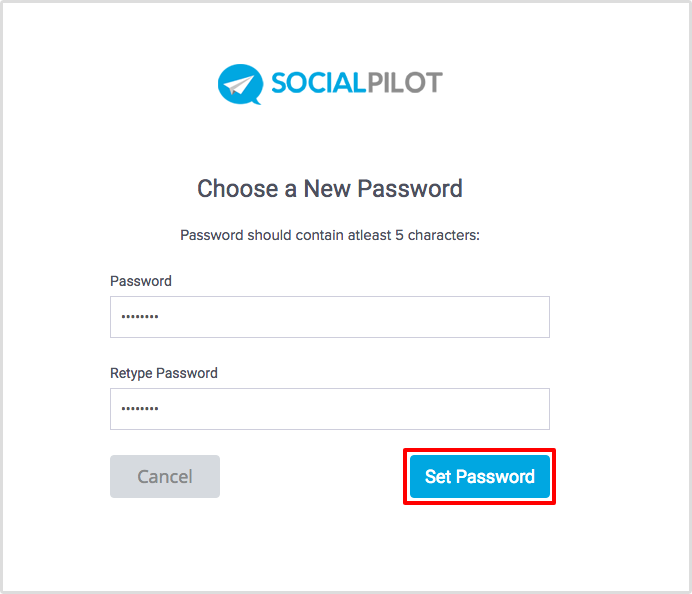 Click on Set Password and you'll be logged into your SocialPilot panel with your new password. 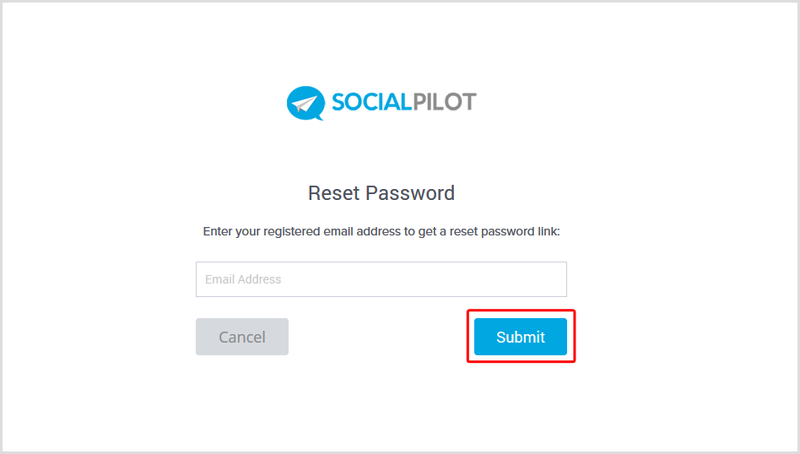 You can now login successfully into your SocialPilot account with the newly reset password. Click on User Profile-> Change Password, from the drop-down menu. You'll see the 'Change Password' page. Fill in the details. Old Password: Enter your existing old password. Password: Enter the password you want to set. Retype Password: Re-enter the new password. Submit button to set the new password.